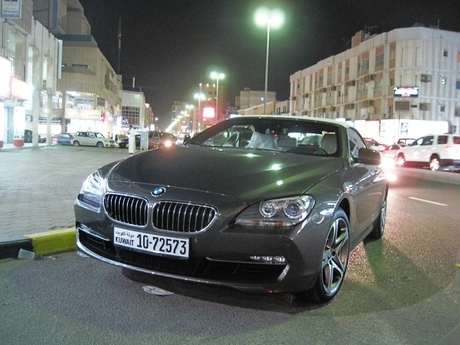 All New 2011 BMW 640 Convertible in Kuwait, nice car, but why did the owner park it like that on the side of the road? 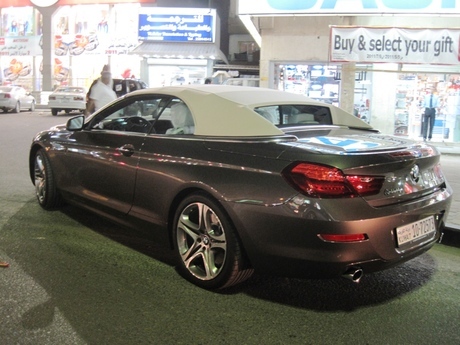 someone is gonna scratch it !! from Al-Adala TV, very wrong !! Anything Strange With This Picture? taken in Al Qadsiya area, Kuwait. click the image to enlarge. 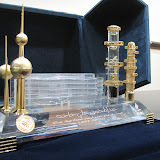 Kuwait National Petroleum Company ( KNPC ) is distributing these VIP crystal trophies for it's Managers, Deputy Managing Directors, Ex-Deputy Managing Directors, K-Companies C&MDs and DMDs as part of it's 50 years celebrations. It consiscts of a crystal base with Kuwait map evgraved on it, KNPC Head Office sculptured on it too, Kuwait Towers, Distillation Tower , and samples of refined petrol products. click the picture below to see detailed pictures of the gift, and don't ask me how to get one, because these have names engraved on them !! When in Dubai, try this traditional tea / coffee shop called Bait Al Shay, a friend recommended it so give it a try. Zenga Zenga on Karameesh ! !